Border Police discover large kitchen knife hidden in the sock of an Arab entering the Cave of the Patriarchs. Border Police on Friday arrested an Arab resident of Hevron after he attempted to enter the Cave of the Patriarchs (Me’arat Hamachpelah) with a knife hidden in his sock. Border Police officer stationed at the Cave of the Patriarchs noticed that the 23-year-old Arab arriving at the site was behaving oddly, and asked him to walk through a metal detector. After the metal detector beeped a few times, the officers found a large kitchen knife hidden in one of the Arab’s socks. 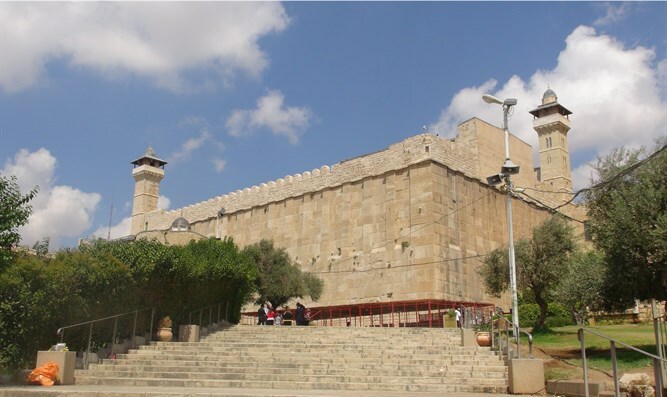 Following an initial investigation, Border Police estimate that the Arab planned to carry out a stabbing attack at the Cave of the Patriarchs. The suspect has been taken for questioning. Since January 1, 2018, six stabbing attacks planned for the Cave of the Patriarchs have been foiled.